Year: 2003. Client: Spotco, New York. 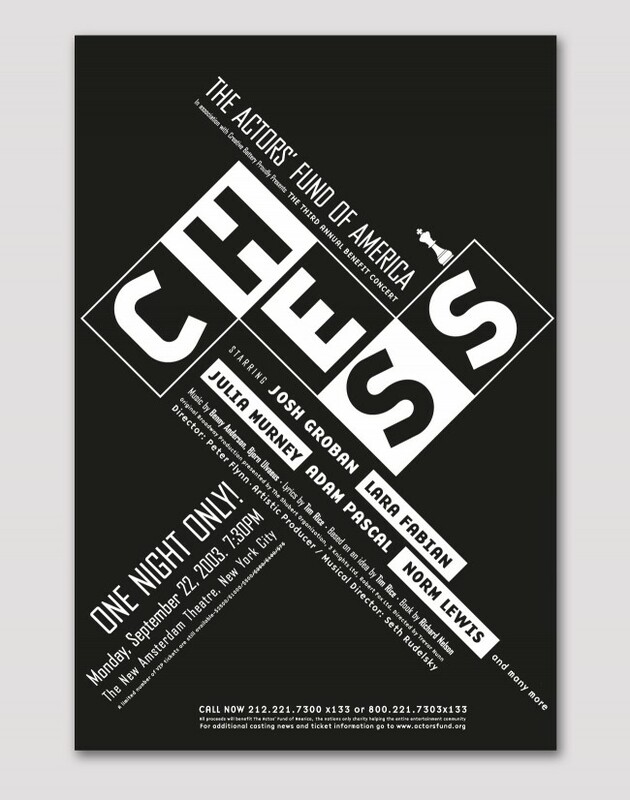 Poster design for the broadway musical “chess”, developed by Tarek Atrissi for “Spotco”, a New York based advertising agency focusing on art and entertainment. The poster designed became the essence of the musical’s identity. A pure typographic solution, using just type, evoked the look and feel of an actual chess by playing on positive and negative space through typography and by using only black and white colors. The challenge of the poster design was the heavy amount of text it included- and the typographic solution adopted allowed the text to become the graphic element at the heart of design.